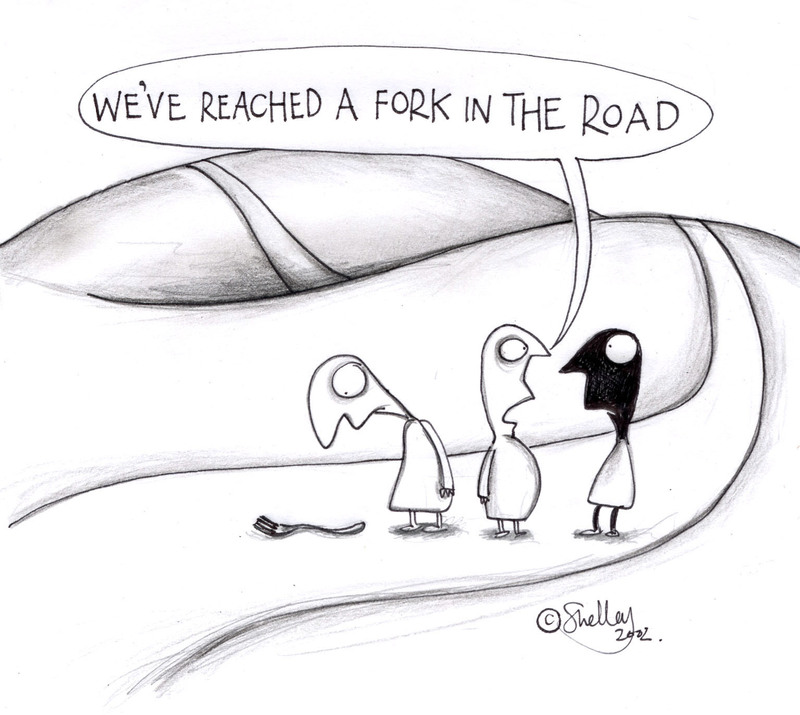 Shelley cartoons: Cutlery on the path of life. Cutlery on the path of life. 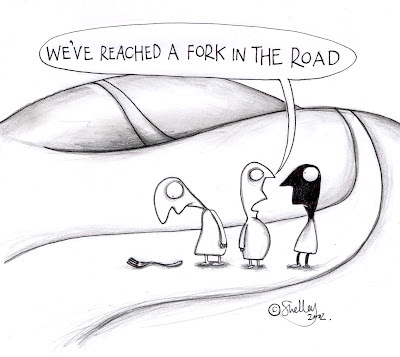 This reminds me of the Muppet Movie and Fozzie Bear telling Kermit..."turn left at the fork in the road" (visualise big fork) ...why has that stuck with me? Yeah, that sound's right, I have muppet humour!